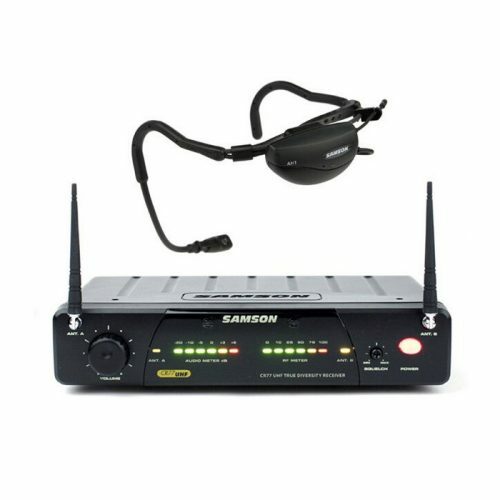 Samson’s AirLine 88 Headset is the ultimate wireless solution for active performers and energetic presenters. Featuring the water resistant AH8 Micro Headset Transmitter, the AirLine 88 system offers complete wireless freedom with no need for the beltpacks and attachment cables included with most traditional wireless headset systems. 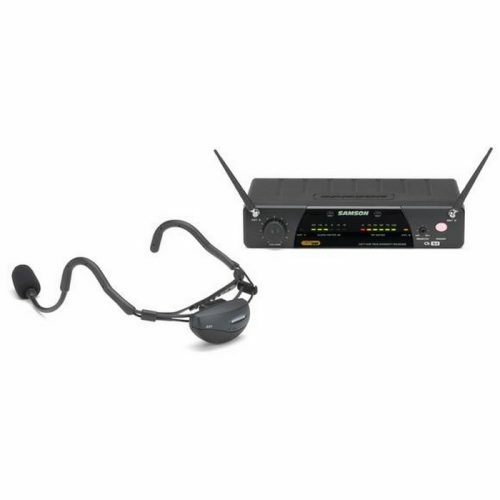 Ideal for exercise instructors, dancers and educators, AirLine 88 Headset takes the worry out of wireless.Samson Airline88 wireless systems and components are available in UHF frequency bands: G-band (863 – 865 MHz), K-band (470 – 494 MHz). This is visible on both transmitter and receiver. The lightweight AH8 Micro Headset Transmitter provides a comfortable and secure fit, high-impact durability and professional sound quality. The adjustable, double ear headset is meticulously designed to hold the mic in place, even when used in the most physical of applications, like Yoga, Pilates and Zumba. The AH8 features a moisture resistant coating and a marine-grade stainless steel microphone boom to protect its components from perspiration. 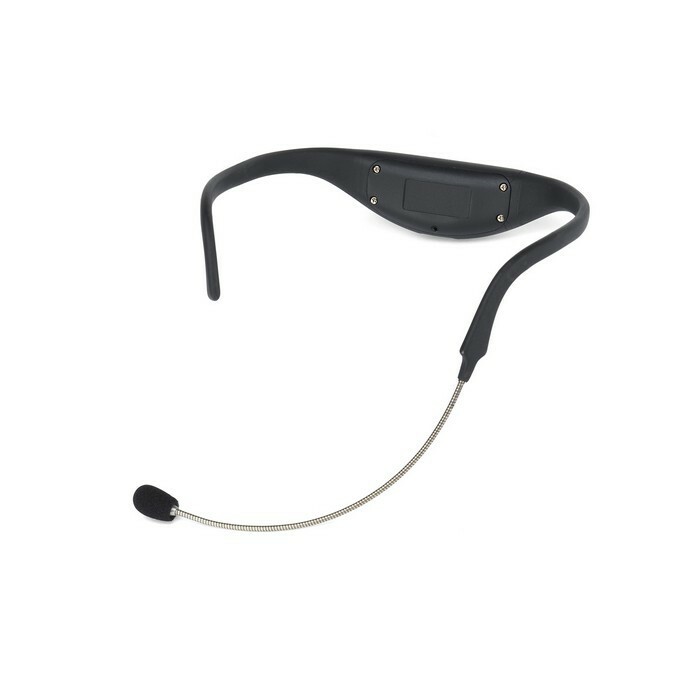 The stainless steel boom enables custom placement of the headset’s micro-miniature microphone capsule, which features a cardiod pickup pattern to reduce feedback and other unwanted noise. In addition, the AH8 transmitter features easy-to-reach Level and Mute controls for tweaking your sound on the fly, as well as a rechargeable lithium ion battery for up to eight hours of operation. The frequency-agile AirLine 88 Headset provides a best-in-class 300′ wireless range. The system’s rack-mountable CR88 Wireless Receiver provides 16 channel options for interference-free performance. For fast setup, IR set technology wirelessly matches the operating channel of the transmitter to the receiver. 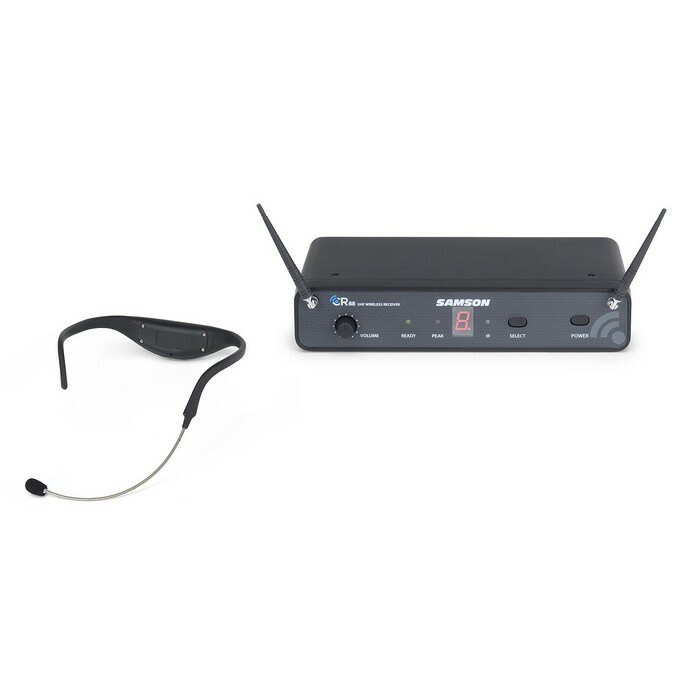 The AirLine 88 Headset supports the simultaneous use of up to 16 systems (region dependent) to support larger facilities and multi-presenter situations.